One of the most remarkable parts about PC gaming is that you rarely have to worry about things like backward compatibility. The caveat with that is those games that used to look so crisp and clear on your old CRT tend to look worse and worse as the years go by and resolution increases. Stay spooked with the best horror games on PC. Resident Evil 4 is a great example of a game that hasn’t aged well graphically. The gameplay is still as enthralling as it was when the game came out, though. Luckily, the Resident Evil 4 HD Project Mod is looking to bring the graphics of the title forward to make it just as enjoyable to play at 1080p or 4k as it was when 480i was the standard. The Resident Evil 4 HD Project has been at it since 2014, starting development for the Wii version via Dolphin. 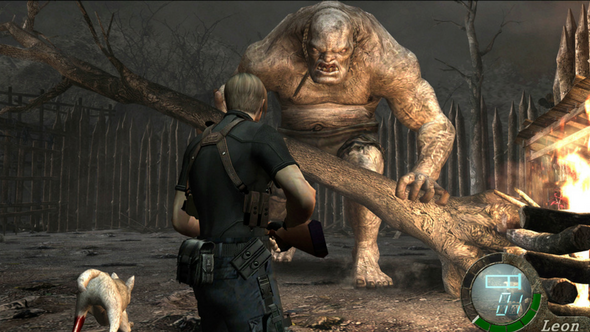 Eventually, the targeted version became the Resident Evil 4 Ultimate HD Edition for Steam. It’s been three years in development, but the team behind the mod is finally making headway and have just finished polishing the village area. If you’re looking to download the mod, you can also play through a graphically improved castle area. There’s still quite a few locations that need updates, but from the progress page, it looks like the mod is over 50% finished. Take a look at the Resident Evil 4 HD Project website for more info on the mod and to track its future progress.